Advances in digital marketing that establish the email address at the heart of personalized marketing are making it easy to unlock sophisticated, real-time personalization in-store. 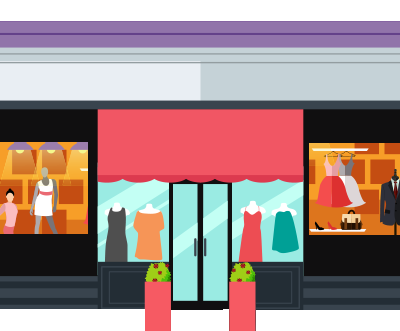 Once an in-store shopper can be identified by email address (or other identifier linked to email), this instantly enables the same real-time data that powers personalized out-of-store content to power personalized in-store content. Mobile in-store associates equipped with tablets can offer personalized recommendations and offers based on past purchases and online shopping histories. Shoppers can obtain these same recommendations and offers with self-serve kiosks. Customers using in-store apps or wi-fi to access the website can receive online recommendations and offers to use in-store (without providing email). Store associates can capture email addresses at point-of-sale to strengthen existing customer profiles and create new ones. They can also make recommendations and offers for future purchases at point-of-sale. Stores can have us email receipts for you, and optionally choose to add recommendations and offers that keep the customer engaged.